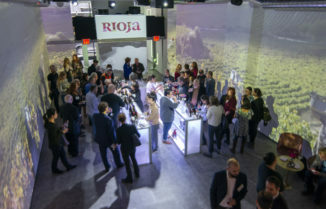 In La Rioja, a small region huddled around the Ebro River Valley in northern Spain, it’s easy to feel a little dazed—and it is not just the un-ending supply of great local wine that lends itself to such slow shaking of the head, such squinting of the eyes. It’s also the scenery: Those rows of shimmering olive trees and gnarled vines that stripe each umber hill with silver and pale green; Those walled medieval villages whose ochre-tinged castles crown the tallest bluffs; Those pale blue skies where steely clouds swirl on breezes kicked down from the jagged Cantabria Mountains that hover above. It’s a fairytale backdrop, a faded page from a storybook suddenly come to life. For aesthetes who prefer modern architecture to winding cobble stone streets (of which there are plenty, especially in the lovely capital city of Logroño), the region doesn’t disappoint, either. Work from Santiago Calatrava, Frank Gehry, and Zaha Hadid rise out of the rural landscape like futuristic spaceships transplanted from another dimension entirely. 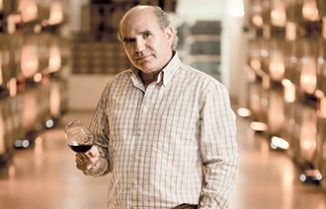 And, the area is a foodie’s dream, too, with Michelin-starred chefs like Ignacio Echapestre at Venta Moncalvillo and Francis Paniego at El Portal del Echaurren offering innovative versions of traditional Basque cuisine in shockingly modern dining rooms that belie their quaint village locales. 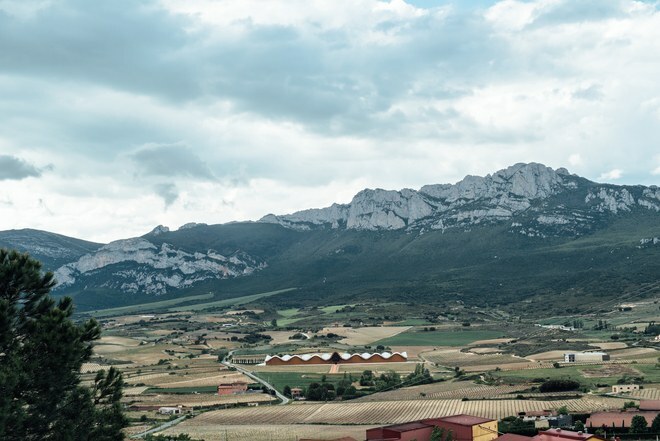 With so much on offer, it’s a bit surprising, then, that La Rioja isn’t an American tourist destination on par with Bordeaux or Tuscany—though, as so often happens with under-the-radar gems, that may soon change. 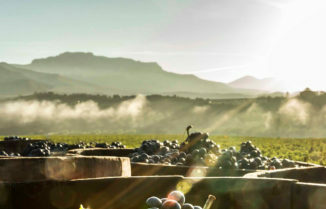 Not only is the region featured in the infamous “fantasy suite” episode of this season’s The Bachelorette, but the hotel group Omni is poised to spotlight many of Rioja’s outstanding wines at its restaurants across the nation come fall, catapulting the region’s diverse range of wines into the mainstream. Below, a look at where to stay and what to drink should you decide to visit. According to locals, autumn—with its rich tapestry of gold, crimson, and indigo—is one of the most spellbinding times to go. 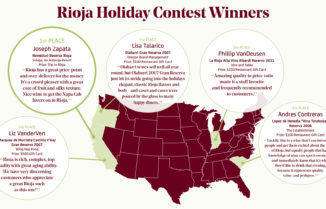 So, you might want to start planning that wine-soaked Spanish holiday now.